Reading the logs and helping self to design better tests is one of the key skill for a tester, is my opinion. I insist and encourage the testers to practice it. I assist in learning the log and making use of it. If you are not sure whether the product you are testing has a log or not, it is time to know it. It can be server logs, proxy logs, client logs, hardware logs, deployment logs, etc. The log contents and type of logs will vary from product to product. What goes into log will also vary and it depends on what is the log level set to print into log file. It happens that the logging will be turned off or will be set to minimal saying it consumes the disk space and IO of the box where it exists. On the other hands, the DevOps and programmers usually monitor the logs in production. The logs are one of the most useful utility to know whats happening in the production. While they use it in production environment, can't we testers use the same in the staging and pre-production environments? Won't that help us to test better? Yes, it will help! Understanding how the logging feature is written for the product is one of the key task usually missed by a practicing tester. The way of interpreting the observations and further test design will be influenced upon learning how to use the logs. In this post, I will share one tool which helps in context of testing the Android mobile apps. 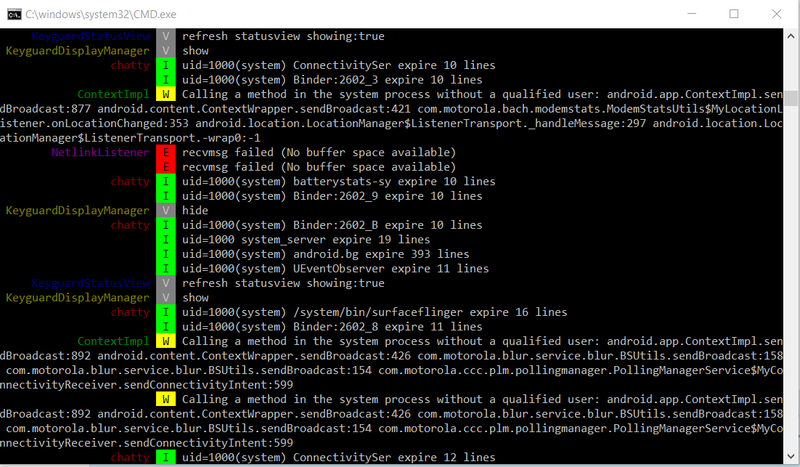 The logs and Android devices; if you say, "logcat", yes; it helps to print the logs in different logging levels. What if I want to pick for particular Android app from the debug stream of logcat log? It is not an easy task with logcat's output stream. I have been using the PID Cat for years now and I find it very useful. It is written by @JakeWharton in Python. It prints the logs in colored text and we have choice to change the color and choose what we want on our box in the program written. Upon that I can just fetch log for a particular Android application. Also, we can contribute further to this tool. The readability experience of log on using the PID Cat, is better. Read about the logcat color script from Jeff Sharkey, it is here. How to get PID Cat? On Mac OS X, the PID Cat can be installed via brew. If brew is not configured on the Mac OS, configure it. On successful configuration of brew, using the below command the pidcat can be configured. On Windows, install the Python and configure the path. I have tested it with Python 2.7 and 3.x during my tests. It appears to work for me in my test environment. Below are the steps to use PID Cat on Windows machine. If using the Cygwin on Windows OS, install the Python package and make sure it is installed. Now go to root and access the directory 'cygdrive'. From here choose the physical partition drive of Windows OS where the pidcat.py file is stored. Then use the below command to fetch log of specific app. Note that, for all the above said, the ADB has to be configured and set in path. If not, it will create trouble. 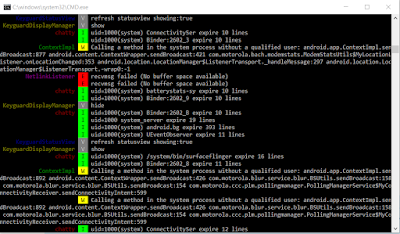 The general log of Android device can also be collected via PID Cat, by using command -- python pidcat.py . Now having setup the PID Cat, while it is up and running, let us test and debug the apps much better.